The CAT-Linx™ 2 TX Wall Plate Transmitter extends 4K UltraHD (60Hz) and HD signals over long distances using conventional CAT 5e/6 cable. Paired with CAT-Linx 2 RX Receivers, the Wall Plate Transmitter can extend HD signal transmission up to 100 meters or 4K UltraHD signals up to 70 meters. CAT-Linx 2 Wall Plate TX and Receive (RX) endpoints can be used with all RGB Spectrum wall processors, multiviewers, and switchers. A CAT-Linx 2 pair needs only one power supply to power both devices. For optimal installation ease and convenience, the CAT-Linx 2 TX Wall Plate Transmitter offers integrated power supplied by a CAT-Linx 2 RX receiver over the same CAT5e/6 cable that carries video and data signals. This eliminates the need for additional external power connections. The CAT-Linx 2 TX Wall Plate Transmitter provides both HDMI and VGA input with automatic input recognition and switching. 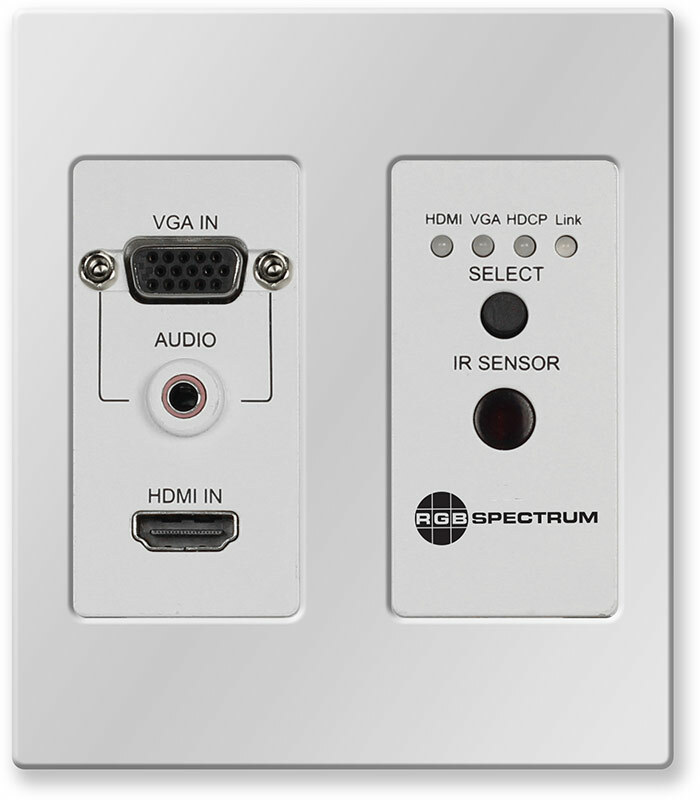 Audio support includes embedded HDMI audio and analog stereo (with VGA input only). 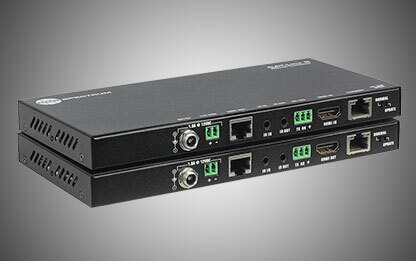 The extenders offer many additional advanced features, including HDCP 2.2 compatibility, Dolby and DTS HD audio support, serial and IR control. For example, you can control a source from the display's location or control the display from source's location via the IR pass-through function bidirectional RS-232 signal transmission. CAT-Linx 2 extenders are a high performance, feature-rich, and cost effective solution for 4K UHD and HD signal distribution. A table/wall mount is available for Zio® and CAT-Linx 2 TX/RX endpoints to provide an affordable, convenient way to affix Zio and CAT-Linx 2 units to walls and tables. 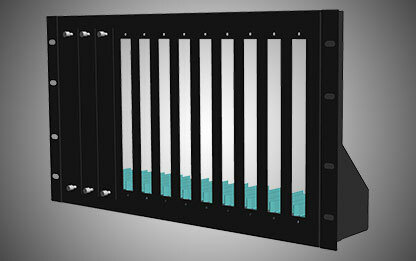 The CAT RAK is a rackmount shelf for up to 12 CAT-Linx 2 units. 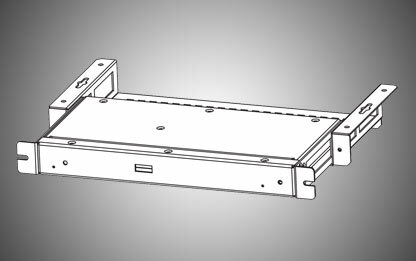 This convenient 6RU high shelf allows each endpoint to be securely mounted in a vertical orientation.